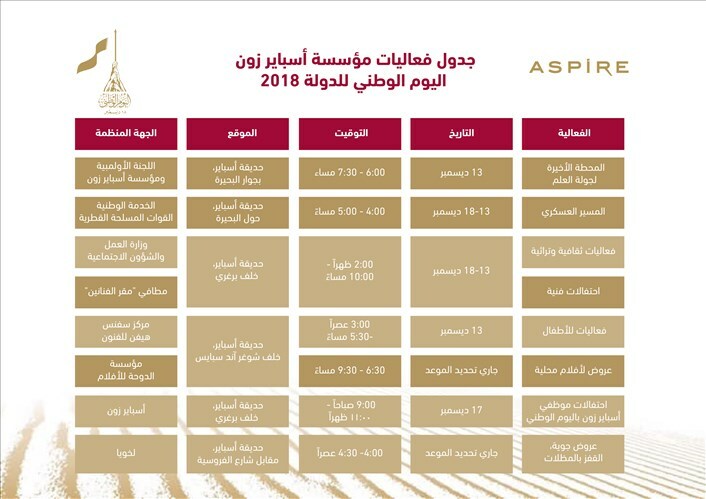 Aspire Zone Foundation (AZF) has announced that for this year’s Qatar National Day celebrations it will hold a week-long series of events for the first time. The programme of events is specially designed for the whole community to enjoy and will run from 13 to 18 December 2018. The celebrations will commence with Al-Adaam Flag Relay as a partner with Qatar Olympic Committee (QOC) which will culminate in a Grand Finale at Aspire park scheduled to take place on the 13thof December from 6:00 pm – 7:30pm in the presence of VIP dignitaries. 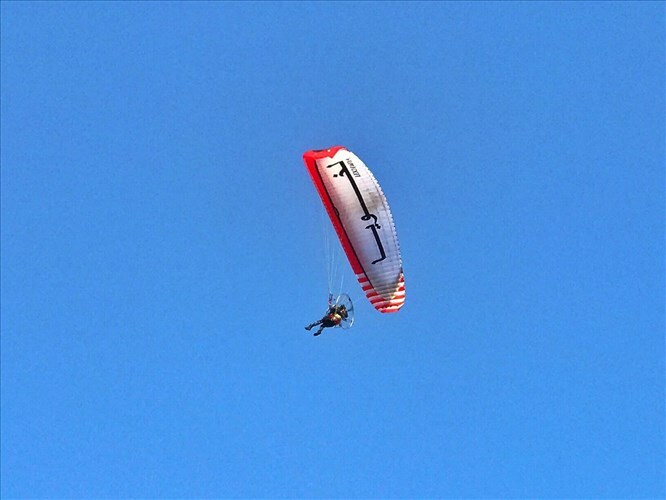 The Flag Relay is designed to unite and inspire audiences whilst encouraging them to share their pride. 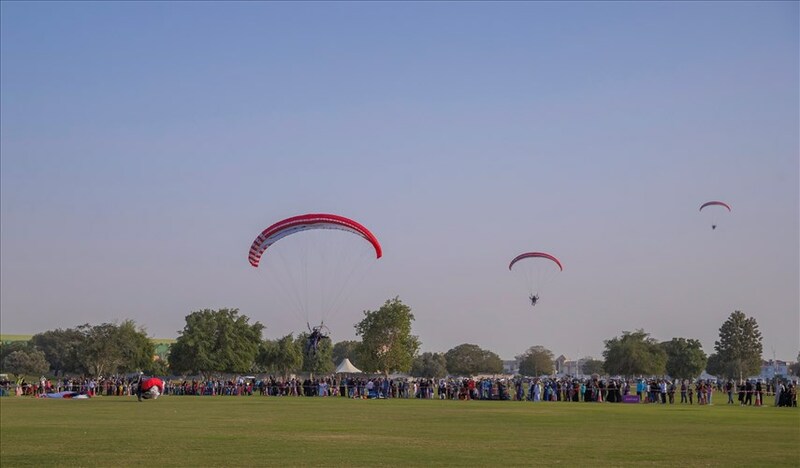 Choosing AZF as the final-destination for the Flag Relay reflects the Foundation's pivotal role as the main sports hub in Qatar and is also indicative of the organisation’s continuous efforts to have Qatar’s flag represented in a wide variety of local, regional and international events. 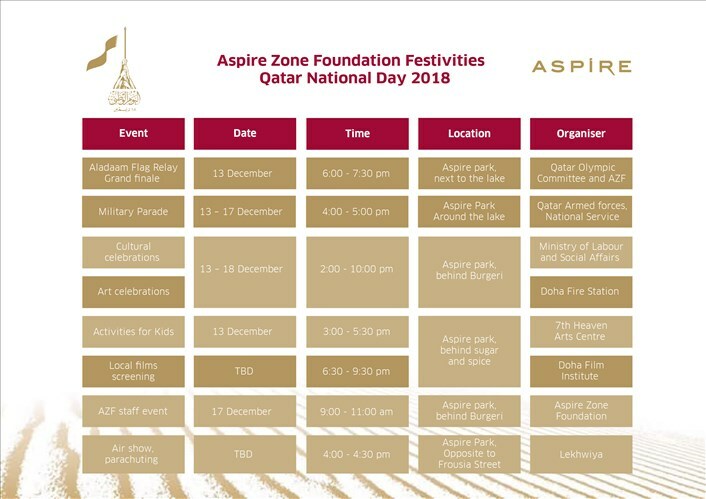 Included amongst other events planned at Aspire Park is a celebration planned for AZF employees that will take place on the 17thof December from 9-11am. 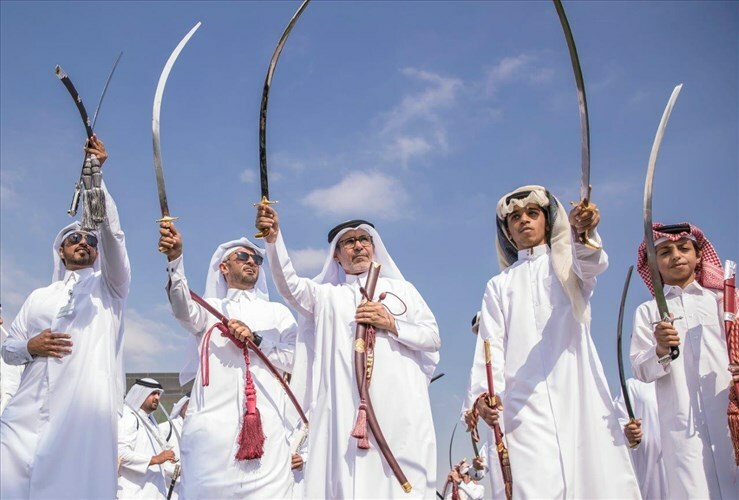 The celebrations will comprise a range of cultural activities including the traditional “Ardha” sword dance that will be performed by Aspire Academy student-athletes. The week-long programme will also feature 16 booths located in Aspire Park that will offer citizens and expatriates the chance to sample a wide of food choices as well as activities including live cooking demonstrations, pop up photo studios, henna designs, and games for children all delivered in collaboration with the Ministry of Administrative Development Labour and Social Affairs. 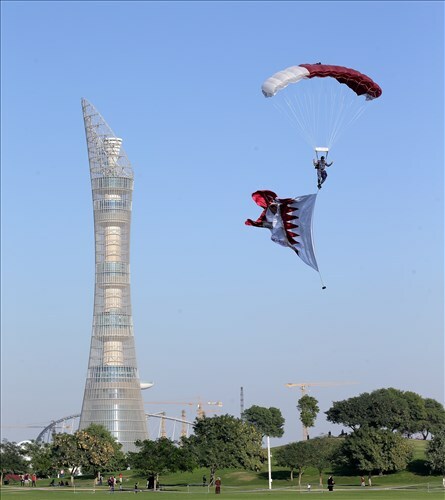 Audiences will also be treated to a Military Parade performed by members of the National Service, Qatar Armed Forces by the Lake at Aspire Park from 13-17 December. 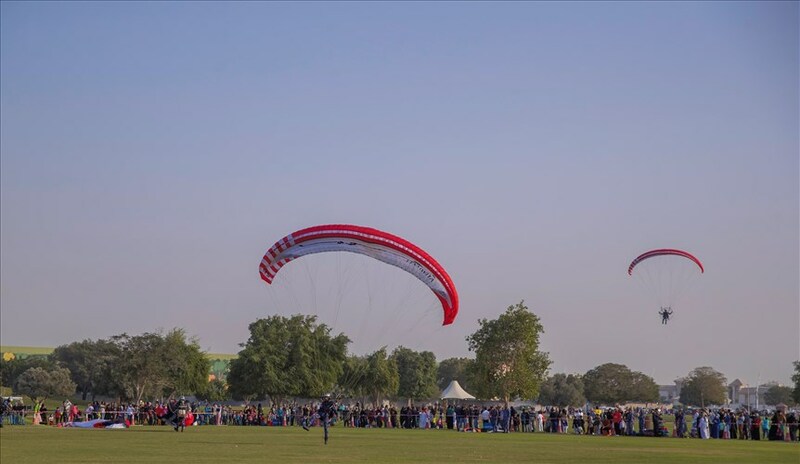 Another highlight will be an intricate parasailing performance conducted by the Internal Security Force (Lekhwiya), with members of the forces descending in different formations into the park behind the lake near Al-Furousiya Street. Designed to promote a sense of solidarity, unity and pride in the country’s identity, a number of artists will also be located around Aspire park producing work that expresses their affection for Qatar, in collaboration with the Fire Station Artist in Residence. And on the side-lines of the event, films produced by Qatari film makers will be screened for audiences to enjoy throughout the week, in collaboration with Doha Film Institute.